While some people prefer a very in-your-face style of home security presence, there are others who lean more towards a subtle, multi-purpose approach to ensuring their home's safety. One way to accomplish a more low-key, yet attractive level of security is to install landscape lighting around your home. Landscape lighting can come in many forms -- such as the lamp post you see below, as miniature can lights embedded into shrubberies and flower beds, or even as solar or LED pathway lights. The point of landscape lighting is to help illuminate your yard and home so you can monitor the exterior parts of your home without having large unattractive security lights making your home feel more like a prison than a peaceful retreat from the outside world. Landscape lighting has other uses as well: you can throw barbeques or other outdoor social gatherings longer than the sun is up; they can be used as identifiers for people trying to find your home; and generally they will help to improve your curb appeal. Decorative outdoor lighting can be used in inclement weather to see beyond your front porch or windows, to follow your pets while they take care of their business before bedtime without a flashlight, and to deter your local friendly wildlife from rummaging through your trash for a midnight snack. We also love the potential to help make your holiday decor have that extra pop: just change out the lightbulbs to tinted ones or use patterned gels or silhouette projections to tie into your festive scheme. Make sure the controls for the lighting is located within your home. That way you don't end up going outside in the middle of the night to turn them off, only to stumble through the dark back inside. Use CFLs or Halogen lights to cast a bright, clear light around your yard. Incandescents burn out quickly and are the easiest to break if, say, someone didn't want you to use your lights. If you go the CFL route, we find that "daylight" tinted bulbs cast the best light. 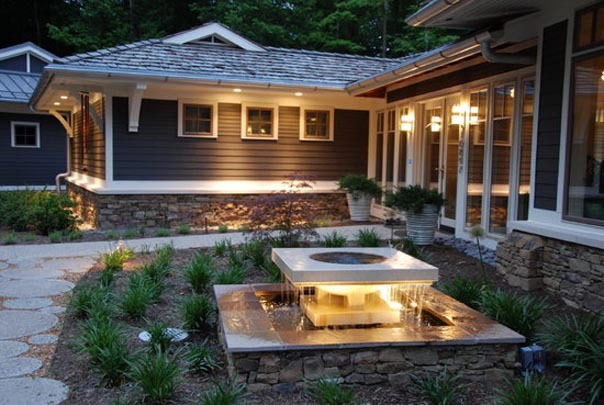 Try to consider your home's overall aesthetic when picking out landscape lighting. Your home's exterior is the first place people will meet your personal decor tastes, so tying everything together will only help to provide a cohesive look for your home both inside and out. Start with coordinating your lights with your porch lights, for example, and consider your home's architectural style as well. 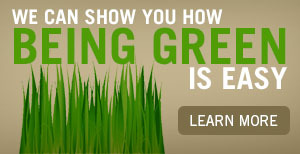 We are licensed irrigators and back flow testers by the Texas Commission on Environmental Quality. We are licensed commercial applicators by the Texas Department of Agriculture. V.F. Landscape is also enrolled in the E-Verify program with the federal government that checks the work eligibility of employees. VFLandscape has been providing outstanding customized service to our clients for over 30 years. This has earned us the reputation of one of Houston's premier residential and commercial landscape companies. As a full-service landscape company, we provide a one-stop shop for all areas of landscaping including design, maintenance, construction, irrigation, custom walkways, exterior painting, drainage installation, outdoor rooms, wood and metal fences, decks and patios, mosquito systems, water features and lighting for residential clients. As each of our clients has different needs, all of our designs and concepts are customized to satisfy each customer in a unique way.